(CHICAGO) As usual at meetings of the American Medical Association House of Delegates, Texans from the youngest to the most experience are playing a lead role in the 2017 summer meeting. Former TMA President Sue Bailey, MD, of Fort Worth was reelected to her third term as speaker of the house. Pediatrician Gary Floyd, MD, a member of the TMA Board of Trustees, is completing a two-year stint on the Reference Committee on AMA Finance and Governance. Ray Callas, MD, an anesthesiologist from Beaumont, is serving on the Reference Committee on Legislation; and Jerome Jeevarajan, a student at the University of Texas Southwestern Medical School in Dallas, served on the Reference Committee on Medical Education. 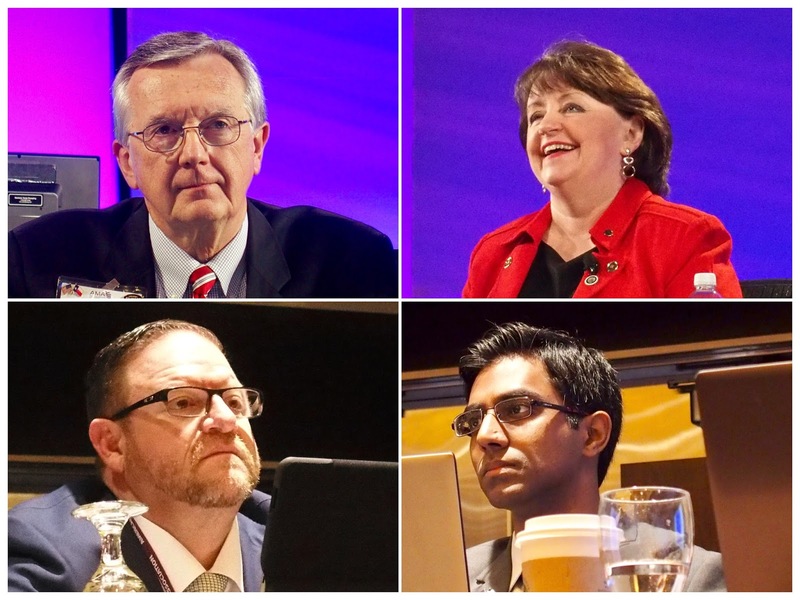 The Texas Delegation to the AMA is working hard to ensure a victory on Tuesday, when John Carlo, MD, of Dallas faces off against three other candidates for two seats on the AMA Council on Science and Public Health. Jason Meschin, community service chair, Texas A&M College of Medicine. 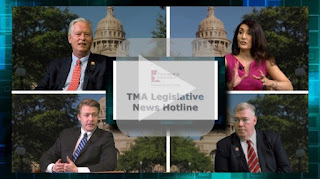 Watch this TMA Legislative News Hotline video summary of a few of the biggest issues addressed in the regular session of the 85th Texas Legislature, which concluded a bit more than a week ago. TMA advocacy team members Dan Finch, Troy Alexander, Michelle Romero, and Clayton Stewart share notes on some top legislative priorities lawmakers answered this session: A surprise-billing solution; new law to define and regulate telemedicine; a prevention initiative passed to keep Texans safe; and how Medicaid funding for the next two years could affect patients and physicians. We also add an update on a priority bill signed this week, and shine a light on the future, when lawmakers will return to Austin. All of that, and a special message from TMA’s Advocacy Vice President Darren Whitehurst, are featured in this week’s episode. Tune in next week, when Hotline will delve deeper into issues passed this session, beginning with the budget, mental health, and women’s health — as well as legislation regulating use of maintenance of certification.